Victory over Tottenham at Wembley Stadium secured a fifth consecutive Premier League win for Jurgen Klopp and his players since the start of the season. The Reds were the superior side throughout the contest, with Georginio Wijnaldum finally scoring his first away goal in the English top flight shortly before half-time, with a header that goalline technology ruled had crossed the line. The visitors doubled their advantage in the 54th minute through the excellent Roberto Firmino, who was later forced off with an eye injury sustained in a challenge with Spurs central defender Jan Vertonghen. The Reds squandered a host of chances to increase their lead before substitute Erik Lamela gave Tottenham a glimmer of hope with a goal deep in injury time. The hosts were well beaten, though, and Mauricio Pochettino will have been left concerned by the gulf in class ahead of his side’s opening Champions League fixture against Inter Milan. Tottenham set up in a 4-4-2 formation, but that effectively shifted into a 4-2-2-2 system in possession. Eric Dier and Mousa Dembele sat as the deepest of the midfielders, while Christian Eriksen and Harry Winks played ahead of the pair and behind the two forwards Harry Kane and Lucas Moura. Kieran Trippier and Danny Rose would move forward from their full-back positions to provide the width. 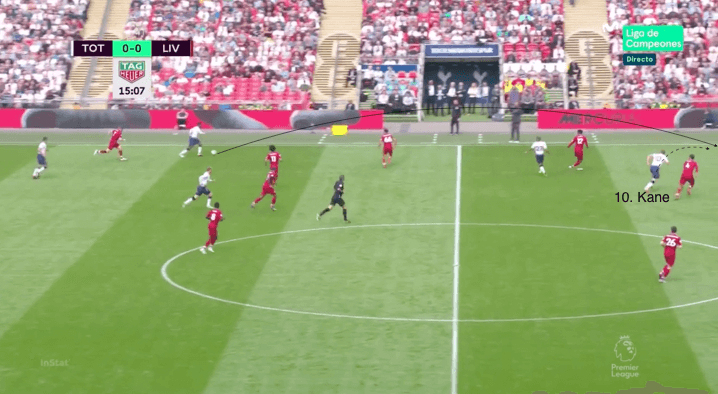 Spurs tried to play early passes in behind for the runs of Kane and Moura in the first half – but little came from this approach, with Liverpool comfortable in sweeping up the danger. The hosts were highly ineffective in building from the back in the opening period too, as much of their possession was aimlessly circulated between Jan Vertonghen and Toby Alderweireld. The ball was simply played into Dembele or Dier before being recycled to the centre-backs, who would then attempt a long pass to the forwards. 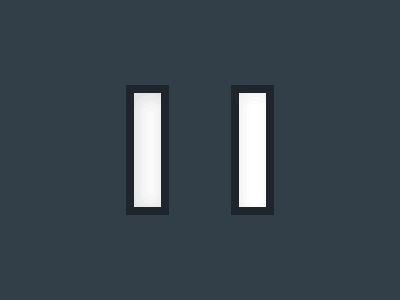 This invariably led to an easy regaining of possession for the visitors. The home side would occasionally drop Eriksen or Winks in to assist the build-up, but this didn’t improve the situation. It wasn’t until Erik Lamela replaced Dembele on the hour mark that Tottenham started to build attacks with increasing quality. 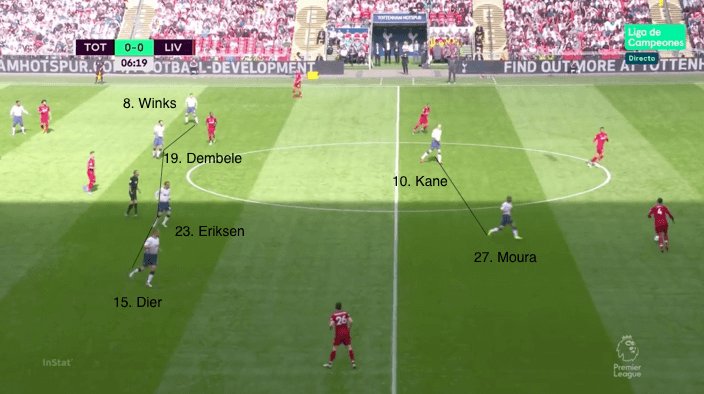 Lamela played on the same line as Eriksen, and the two would drop in and try to combine around Liverpool’s second line in order to penetrate and move into the final third. 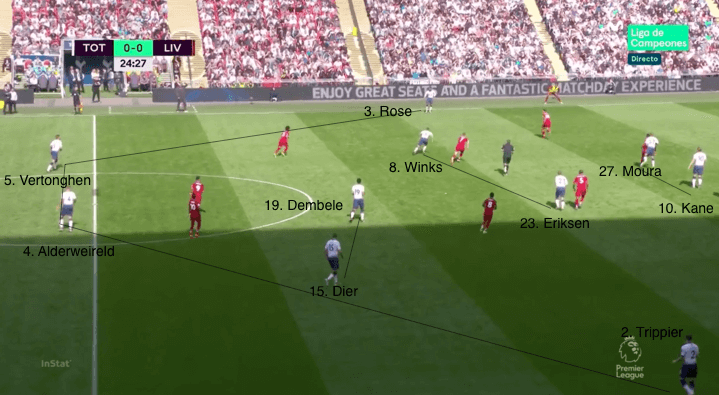 Positioning Winks further back also helped Spurs to progress from the back while maintaining a high level of technical quality within the next line in order to continue the attack – this wasn’t as straightforward when Dembele and Dier were both on the pitch. They operated in a 4-4-2 out of possession, which could also take on the form of a 4-3-1-2. The midfield would sometimes sit as a flat box of four, with the structure often dependent on the location of Eriksen. 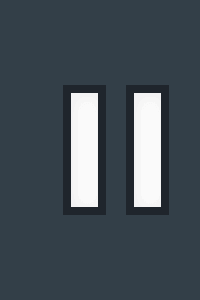 The Denmark international shifted between joining Kane and Moura on the top line of the press, operating slightly deeper to occupy Georginio Wijnaldum when Liverpool were building, and positioning himself in a central flat line of four. Tottenham would try to swarm the ball in the middle third, particularly out towards the touchline, but this left them vulnerable to the switch of play. Liverpool fortunately didn’t take advantage of this – had they done so more regularly, the scoreline might have been significantly less flattering to the hosts. Tottenham set up in a 4-2-2-2 in possession, with Christian Eriksen and Harry Winks playing behind Lucas Moura and Harry Kane. Spurs’ out-of-possession shape took on a few different forms throughout the match. Here, they set up in a flat 4-4-2, with Eriksen dropping back into the midfield line rather than pressing high with Kane and Moura. Spurs tried to play in behind early for the runs of Kane and Moura, but Liverpool were more than comfortable in dealing with this approach. Spurs’ quality when building up was improved when Erik Lamela came on for Mousa Dembele. The Argentine combined well with Eriksen to help his team progress beyond the Liverpool midfield and into the final third. Liverpool set up in their usual 4-3-3, with James Milner, Georginio Wijnaldum and Naby Keita operating as the midfield trio. Roberto Firmino took up his usual place in between Sadio Mane and Mo Salah in the front three. Liverpool utilised a patient, organised approach out of possession, operating in a 4-3-3 mid-block. 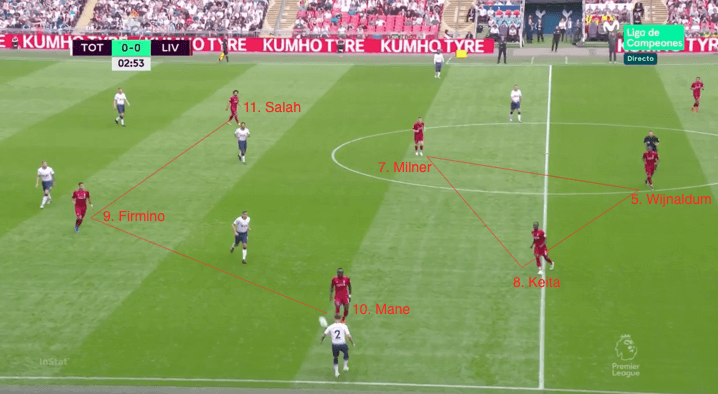 Mane would often sit deeper than Firmino and Salah, perhaps concerned by the extra attacking threat of Trippier down the Spurs right. 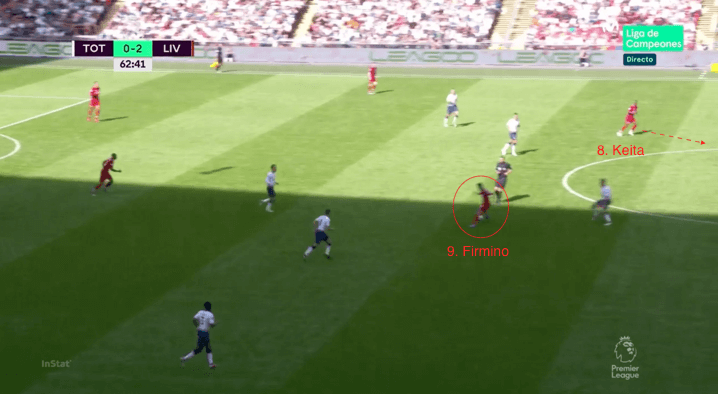 Firmino could be seen dropping in to help the midfield in the build-up – this allowed Keita in particular to run beyond him and threaten in a more advanced area. 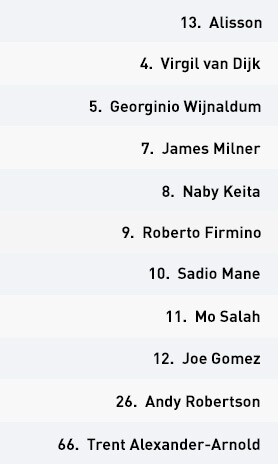 Liverpool set up in their familiar 4-3-3 formation, with Naby Keita, Georginio Wijnaldum and James Milner in midfield, behind the usual front three of Sadio Mane, Roberto Firmino and Mo Salah. The Reds could be seen moving the ball towards the right-hand side in the early stages, where Firmino’s movement caused problems. The Brazilian frequently made his runs between the two centre-backs – a method which created two chances in as many opening minutes. 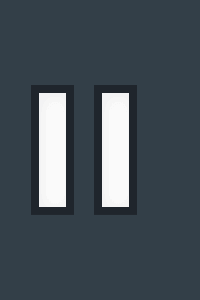 One finish was ruled out for offside, while the other ended with a blocked shot leading to a corner. 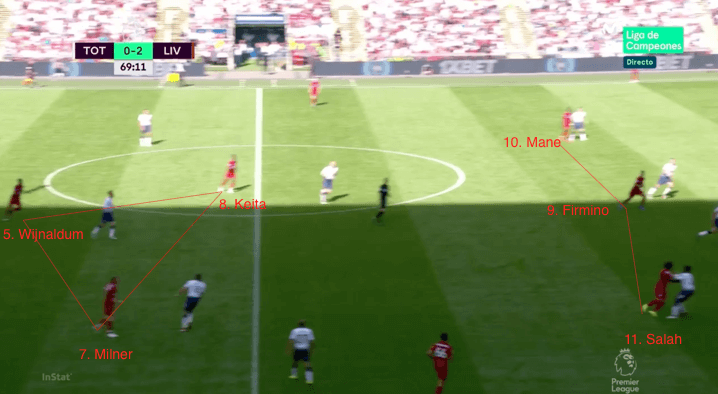 He also dropped between the lines into a midfield position – this allowed Keita to run beyond him and join the attack, leaving the Tottenham defenders with the dilemma of deciding whether to track his run or stay with Firmino. Another weapon was the pace offered by Mane and Salah, with the ball consistently played into the channels behind the Spurs defence for the pair to run on to. 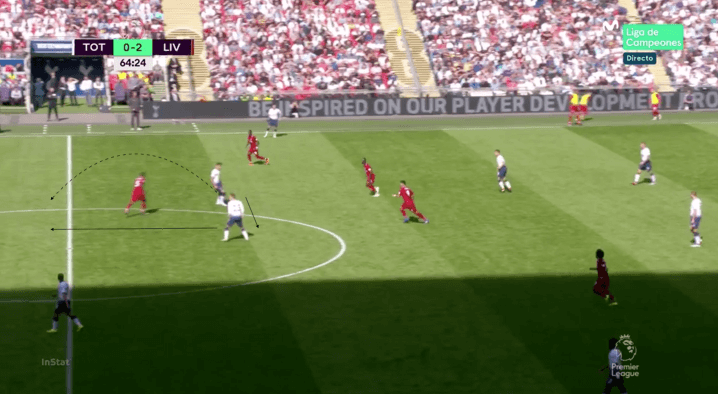 This tactic proved rewarding in the build-up to the second goal, with Mane released in behind full-back Kieran Trippier wide on the Liverpool left. The Reds remained in their 4-3-3 shape out of possession, but displayed a different approach than viewers have come to expect from them. 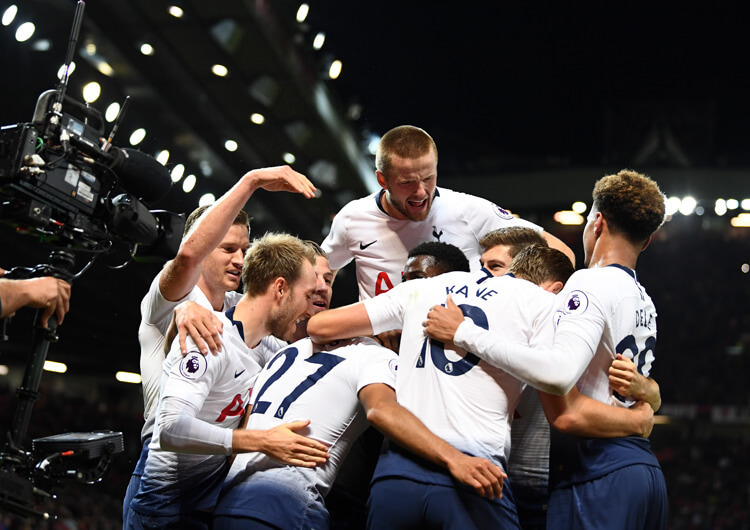 Rather than performing their usual high-energy press, the visitors focused their energies on making life as difficult as possible for the Spurs centre-backs.  As a result, Jan Vertonghen and Toby Alderweireld found it difficult to find any passing lines through their opponents’ shape, and often forced the ball forward with inaccurate long passes. The Reds would still occasionally press high, usually when their organisation had forced the hosts to play backwards – which in turn encouraged the block to move forward and apply pressure nearer to their opponents’ goal. Mane operated slightly deeper than Salah and Firmino within this block, likely due to the threat posed by right-back Kieran Trippier and the priority of the midfield trio to protect central areas. 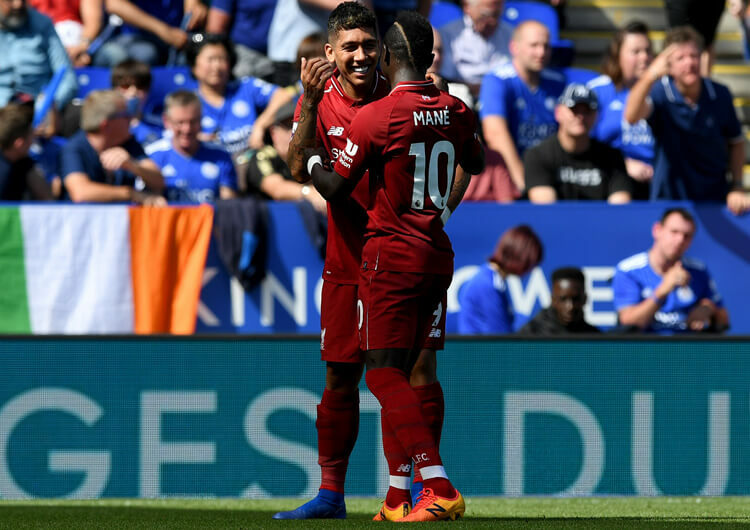 Liverpool’s winning streak now extends to five games at the start of the new season – a feat they have achieved only three times – and their rivals will know the best could yet be to come from Jurgen Klopp’s players. They’ve taken three points from their toughest fixture of the campaign so far, and will want to keep momentum going as the Champions League group stages get under way. 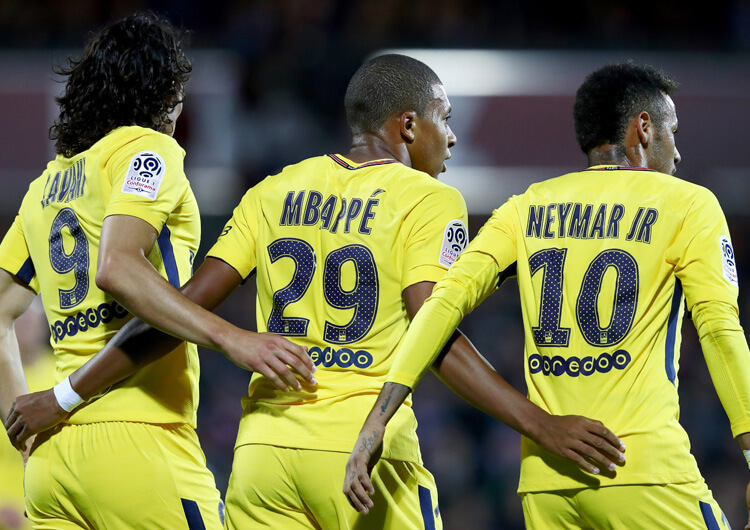 For the Reds, that starts with the visit of Paris Saint-Germain to Anfield on Tuesday.